After chasing down poor connections and bad spots in the wiring the Elec Trak is in much better shape. We had a broken steering shaft due to a front spindle getting very hard to turn. I never realized that the steering wheel could exert enough force to snap a steel shaft. However in looking at the shaft there is a hole through it one way and a key cut the other way that intersect causing a week spot. That has all been sorted out with a new (to me) shaft installed. We got some rebuild kits for the relays that basically consist of new leafs and contacts. 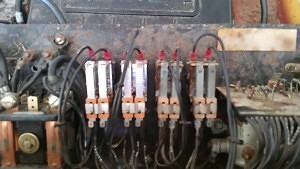 This has resolved the problem with the PTO contactor dropping out. They were very easy to replace, just being held in by a metal clip. Notice the shinny ones on the left.. I think I will go ahead a replace the rest of them the next time I work on it. Since all of the problems (other than the brakes) have been solved I put all the covers and panels back on. This is the first time they have been back on since the day we brought it home. 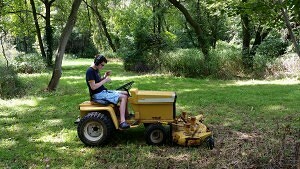 All things considered this has worked well for us as a mower and it is nice to not have to buy gas to to cut the grass. It is almost quiet enough to listen to music while mowing without ear muffs, however the noise of the mower blades moving is just a bit too loud, think of a fan. 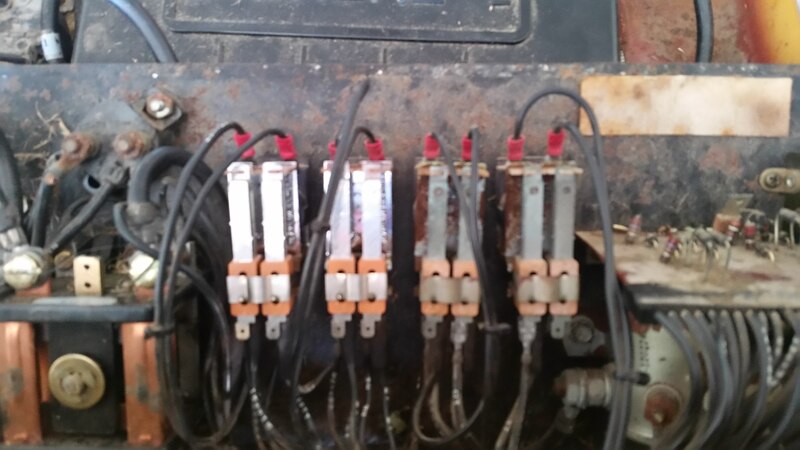 This entry was posted in homesteading and tagged E20, Elec Trak, electric tractor. Bookmark the permalink.